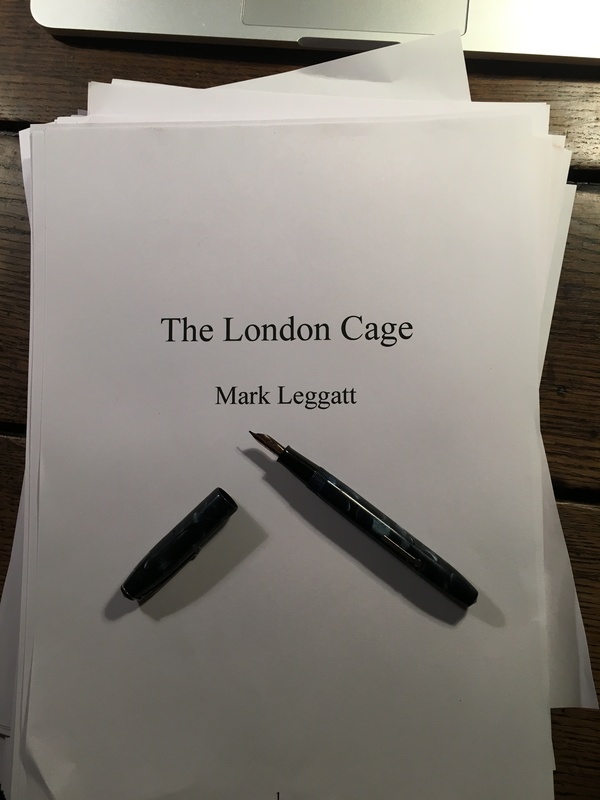 Today I’m pleased to welcome Mark Leggatt to the First Draft hot seat. 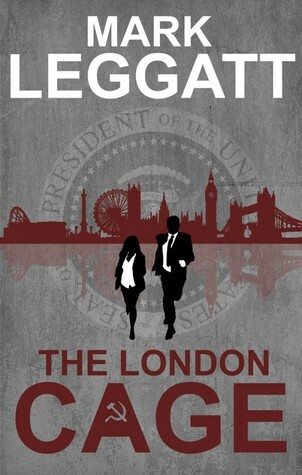 Mark Leggatt is the author of Names Of The Dead, The London Cage, and The Silk Road, a series of international thrillers which weave fact and fiction across the globe. He was born in Lochee, Dundee and currently lives in Edinburgh. European history and modern global conspiracy lie at the heart of his work, and are the backdrop for the adventures of former CIA technician Connor Montrose. Mark’s writing is based on his travel and interests, beginning in London banking IT, where he lived and worked for three years in both the East End, and West End of London, before returning to Edinburgh. 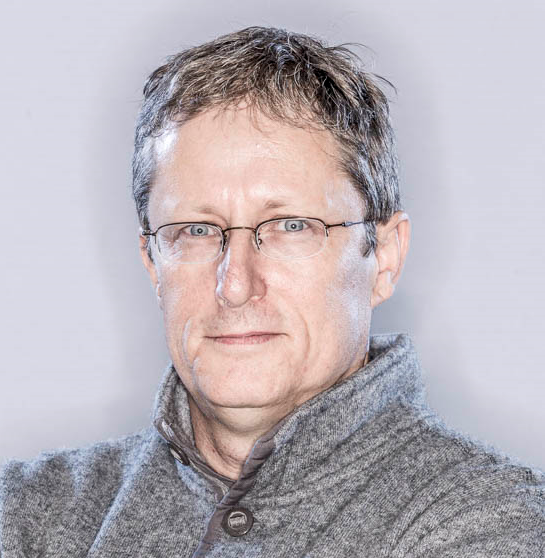 In Edinburgh, Mark’s career turned to IT Disaster Recovery and Business Continuity, which took him to Paris on a three month contract, which turned into a three year stay. Initially living in a fin-de-siècle hotel near the Opera in Paris, this was followed by a hotel de particulier in Versailles. Weekends and evenings provided the ideal opportunity to take in Paris profonde. Mark returned to Edinburgh for a number of years. Missing the sunshine, they moved to a village outside Toulouse in the South of France, where the proximity to an airport served as a base for a number of international contracts in Disaster Recovery. It was at this period that Mark spent more time in other European capitals, including Den Haag (The Hague), Amsterdam and Berlin. They then returned to Scotland once more, and have settled in the Marchmont area of Edinburgh. 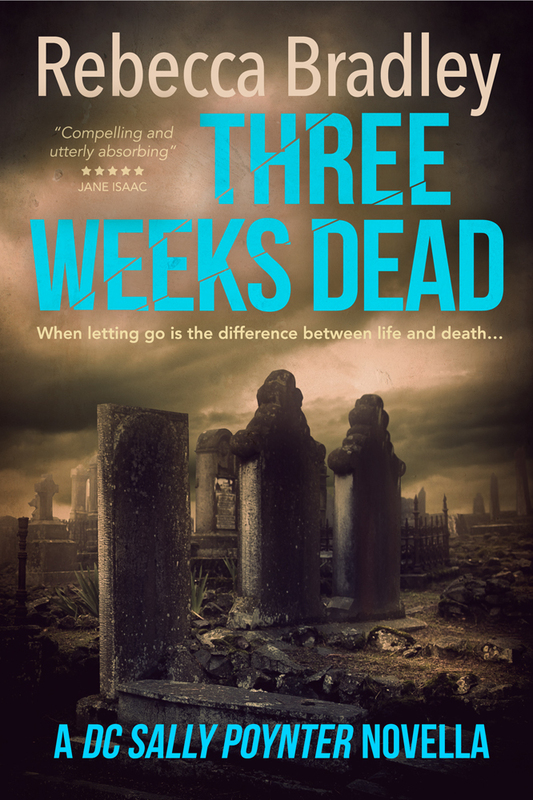 In September 2012, Mark won an entry to the Bloody Scotland Crime Festival, and was invited to deliver a pitch to an audience and publishing panel. Since then, he has appeared at Bloody Scotland and Thrillerfest in New York in 2015, 2016 and Glasgow’s International Literary festival Aye Write! 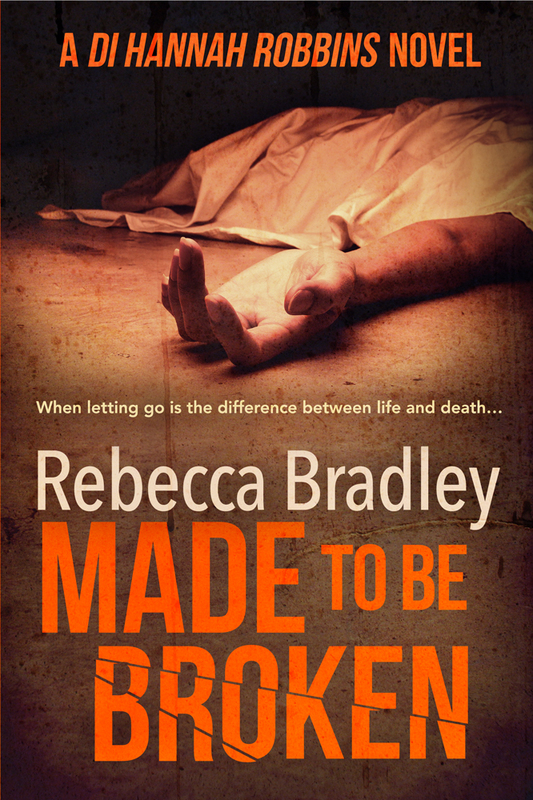 He is the Debut Author Programme Membership vice-chair for the International Thriller Writers. Go to my list of ideas that I keep on my laptop. I carry a paper notebook with me at all times, and jot down anything that I think might lead to a story, then I add it to my files. Today, I wrote down in the back of a taxi “Hidden messages in Renaissance paintings from Lorenzo de Medici, and the clues to the hidden & priceless Medici paintings by Leonardo, Botticelli and Michelangelo that didn’t disappear in the bonfire of the vanities.” It might be total rubbish, but then again it might lead to something else, like hiding a code in a painting. It’s a bit Dan Brown, but I’ll keep it and maybe use it in a scene. Once I have a basic idea I want to use, I write it all out in larger notebooks, and just keep writing about the subject, and jot down anything that comes into my head. Just the act of writing it out can make great ideas appear out of the blue. If I don’t write an idea down, I’ll forget it. Sometimes in seconds, and it is very annoying. This is my favourite and most exciting part, as it’s when I discover the story. It takes a while to get a full plot, but it works really well. And at the end, you’ve got a plot that you’ve been over a hundred times, and you know it works. 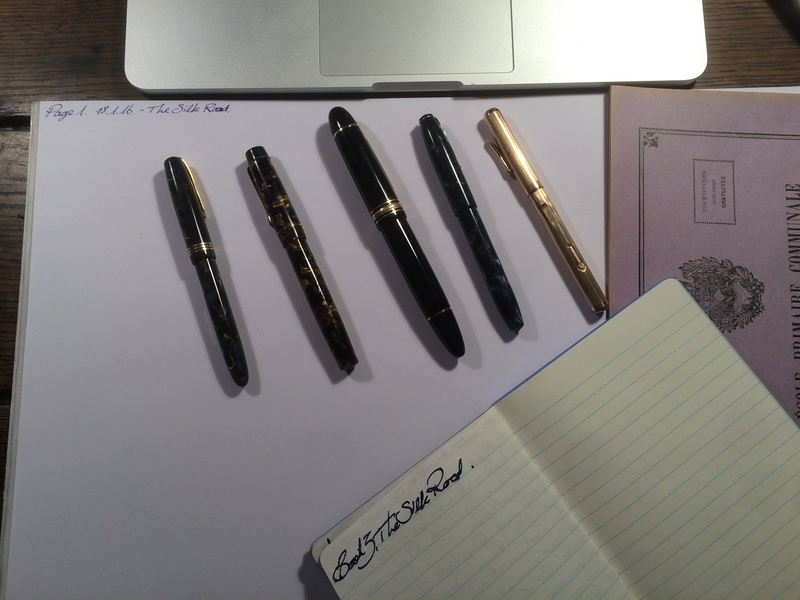 At first, I write with old fountain pens. No special reason, except I love it! Once the synopsis is done, (usually about 5000 words), I dictate it into my laptop using voice recognition software, because I’m a terrible typist. 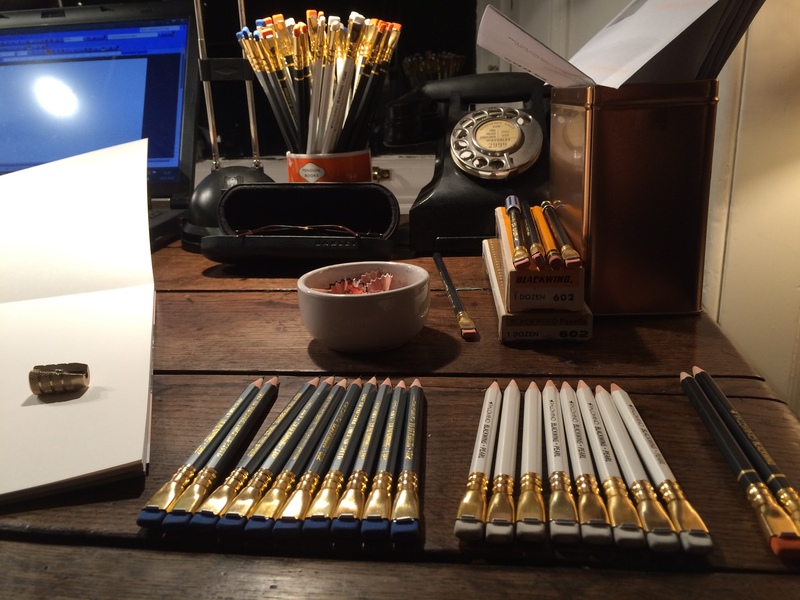 When that’s done, then I sit down to write the book with a fresh box of pencils. It is very important to me, as I base my fictional stories around hard fact. For example, my latest work The London Cage, is about a building that actually exists, and satellite weaponry that’s still up there in near space. But you’ll have to read the story to find out… My first novel, Names Of The Dead, featured the little known involvement of Swiss banks and stolen Holocaust wealth. I did a lot of research for that, but only a small percentage made it into the book. But I had to do all the research to find out which bits were relevant to the plot. If it wasn’t relevant, I left it out. But none of it is ever wasted. When I’m not writing fiction, I like to read history books. For example, I’ve just been given a copy of “The Ministry of Ungentlemanly Warfare” by Giles Milton. It has given me a fantastic idea for a story I’ve added to my list, around MI6 and SOE betrayal during the last war. But I also use online research and first-hand accounts. For example, in “Names Of The Dead”, I had several scenes in Casablanca. Well, I’ve never been there, but I worked in France with people from Morocco, and they were able to give me a personal account of the city, the geography and the people. And Google street maps are very handy! Notebooks. Lots and lots of notebooks. I have a Field Notes notebook I carry with me at all times, or if I’m walking the dog, I make notes on the voice recorder of my iPhone. I write a diary every day, and write down anything that comes into my head. If it’s a good idea, it gets added to the list of ideas on my laptop. 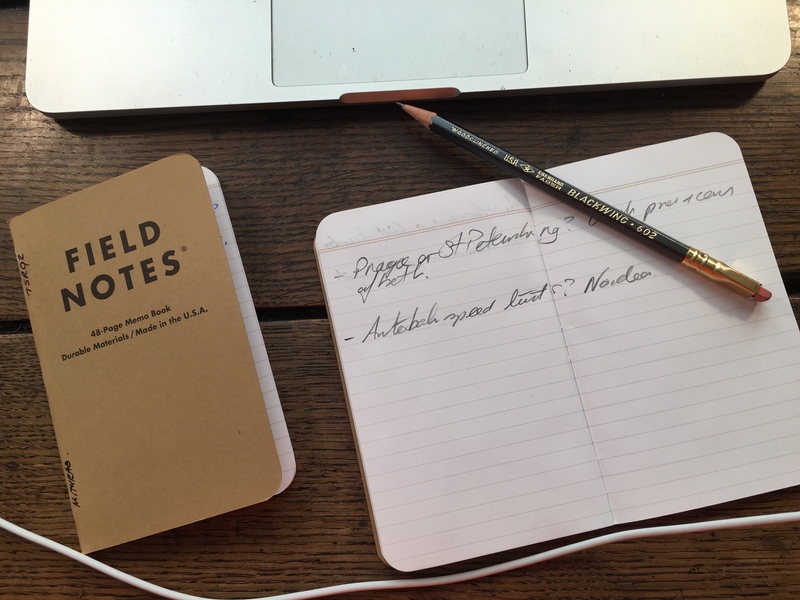 It starts off with an idea in a notebook, then gets added to my laptop on the list of ideas, and then when I’m deciding my next book, I pick my favorite and start writing about the idea in a larger notebook. I riff on the idea, what it could be, where it could go, and keep going until I have a one-page plot. Then I’ll just keep writing in my notebooks until I have a detailed synopsis. Then I’ll type it up and go over it until I’m happy. When that’s done, it’s time to get the pencils out and write the story. Every draft starts with a vintage Eberhard Faber Blackwing 602; possibly the best pencil ever made. No reason, really, I just love it! I’m totally lost in writing the book. If the doorbell goes, you have to peel me off the roof. A chaotic mess, and that’s just how I like it! An empty desk means an empty mind. 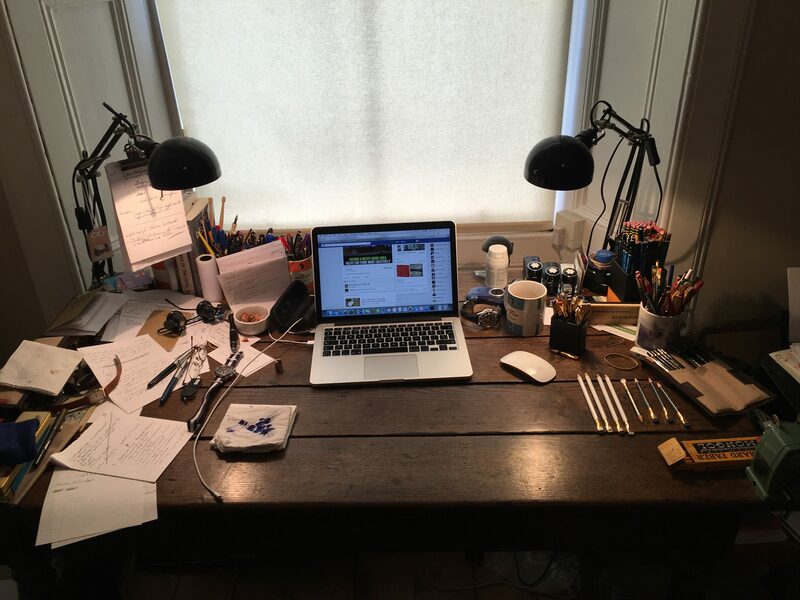 I have all my pencil and pens around me, scribbled notes, pencil sharpeners, notepads, index cards, ink and the sound of rainfall playing on my headphones if it’s noisy outside. Get the words out. The endless editing can wait. When I’m lost in the story, there is no thought of editing, only the next word. I use a spreadsheet to track progress, so I can see that the chapter lengths are not too uniform and the plot is balanced through the book. A fabulous mess. A ton of paper filled with scribbles, ready to be dictated into the laptop. Getting the plot right can take a few months, then add 2 months to write the first draft, and 3 months to edit it. I have a very busy day job, so it’s early morning, nights and weekends. 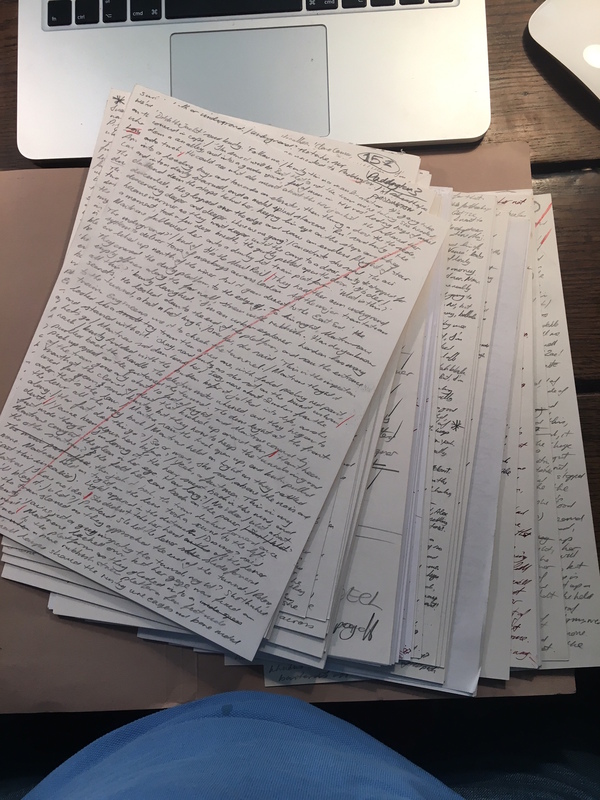 First off, I read it on the screen, and when I’m finished editing it a million times, I put on my head phones and use MS Word to read it out to me, and for the very final edit, I print it out and get the pencils out again. Endless, endless editing! I’ve learned when it’s time to stop, but the editing takes far longer than the writing. All the magic might happen in the first draft, but the real work happens in the editing. You can find Mark on his Website, Amazon, and Waterstones. A man who doesn’t exist discovers a weapon that doesn’t exist. The retreat of the glaciers has revealed a Cold War secret that should have lain buried for centuries, with the power to bring down the communications and defence systems of every country on the planet. Including his own. He is faced with the choice of betrayal or survival, but either way, he’ll lose. Then an old man tells you, “If I had the choice between betraying my friends and betraying my country, I should hope I have the guts to betray my country.” Your country needs you, but if you give up the secret, your friends and those you love will die. The second Connor Montrose thriller from Mark Leggatt is guaranteed to have you on the edge of your seat. My plots take months to get right before I can start writing. I’m going to look for those pencils although they might not be sold here in the states. And funny line about peeling you off the ceiling!